Fate: The preordained course of your life that will occur because of or in spite of your actions. Destiny: A set of predetermined events within your life that you take an active course in shaping. Freewill: The power of acting without the constraint of necessity or fate; the ability to act at one’s own discretion. Fate & Destiny are often used interchangeably but actually they are two different constructs. To a certain degree our lives are mapped out, but just like a hand of cards you can do well with them or go bust, this is where our freewill comes in so it can be said that Fate cannot be altered but Destiny can. Within a Soul Plan Person A may agree to meet and marry Person B as Person B will teach them something which is crucial to them such as confidence or compassion. Let us now say that Person A learned compassion in college, they now do not need to marry Person B unless person B has something else to offer. Person A can now marry Person C and work on a different lesson so their freewill changed their Destiny. 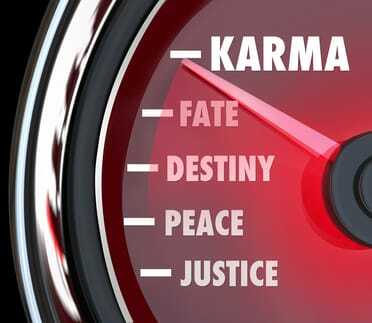 So with all the above in mind I am wondering about Law of Attraction vs Fate or Destiny. If we are not Destined or Fated to be rich, will Law of Attraction change that? Now the Law of Attraction is not just about money it is about abundance which is really more health, wealth & happiness so again if one were part of a Soul Plan where they had agreed to suffer say M.S. or even just chronic arthritis because they needed to learn patience or to be more dependent etc then surely nothing in the world can change that situation until the person has dealt with their agreed contract? I am not trying to be negative here but it seems as though surely one must cancel out the other? If LOA is so amazing why are there not hordes of people mastering it and seeing great abundance? The only people I see who are benefiting seem to be the ones who have been published or been offered lucrative roles speaking or training on the subject. I wonder if this is down to the positive thinking that is key to the LOA? Let’s face it if you though negatively about your book, you’d be less likely to persevere when publisher keep saying no and we hear stories of people like J.K. Rowling who got turned down by many of the top publishers yet kept going only to eventually see it pay off. What do you think about LOA v Destiny v Fate? Can we alter our path if we have agreed to certain soul contracts? Hi there, just wanted to tell you, I enjoyed this tarot article. If you imagine the law of attraction as gravity and you are the earth in your own solar system. The sun might be your destiny so the sun keeps you in perfect orbit around it. Fate might be the moon because it affects day and night and the oceans tide. Even though the sun controls the planets and the planets control the moons. Ever person goes about there day here on earth with freewill as to what they want to do with their life. Gravity keeps your feet on the ground but doesn’t stop you from moving. Fate, Destiny and Freewill are simply planets in your solar system. Depending on how important Destiny is to you maybe Destiny is Pluto so insignificant its not even a plant anymore or maybe its Jupiter the king of your solar system everyone is different. I’m sure I will but in the meantime feel free to check out the books I mentioned by Robert Schwartz.